In this manuscript, we present a protocol to fracture test cadaveric proximal femora in a sideways fall on the hip configuration using instrumented fixtures mounted on a standard servo hydraulic frame. Nine digitized signals comprising forces, moments, and displacement along with two high speed video streams are acquired during testing. Dragomir-Daescu, D., Rezaei, A., Rossman, T., Uthamaraj, S., Entwistle, R., McEligot, S., Lambert, V., Giambini, H., Jasiuk, I., Yaszemski, M. J., Lu, L. Method and Instrumented Fixture for Femoral Fracture Testing in a Sideways Fall-on-the-Hip Position. J. Vis. Exp. (126), e54928, doi:10.3791/54928 (2017). 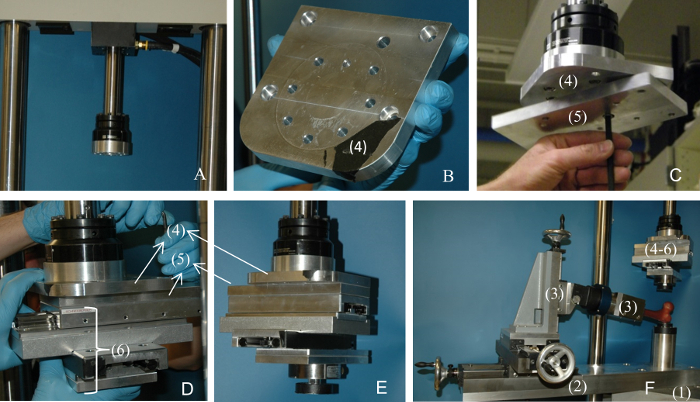 Mechanical testing of femora brings valuable insights into understanding the contribution of clinically-measureable variables such as bone mineral density distribution and geometry on the femoral mechanical properties. Currently, there is no standard protocol for mechanical testing of such geometrically complex bones to measure strength, and stiffness. To address this gap we have developed a protocol to test cadaveric femora to fracture and to measure their biomechanical parameters. This protocol describes a set of adaptable fixtures to accommodate the various load magnitudes and directions accounting for possible bone orientations in a fall on the hip configuration, test speed, bone size, and left leg-right leg variations. The femora were prepared for testing by cleaning, cutting, scanning, and potting the distal end and greater trochanter contact surfaces in poly(methyl methacrylate) (PMMA) as presented in a different protocol. The prepared specimens were placed in the testing fixture in a position mimicking a sideways fall on the hip and loaded to fracture. During testing, two load cells measured vertical forces applied to the femoral head and greater trochanter, a six-axis load cell measured forces and moments at the distal femoral shaft, and a displacement sensor measured differential displacement between the femoral head and trochanter contact supports. 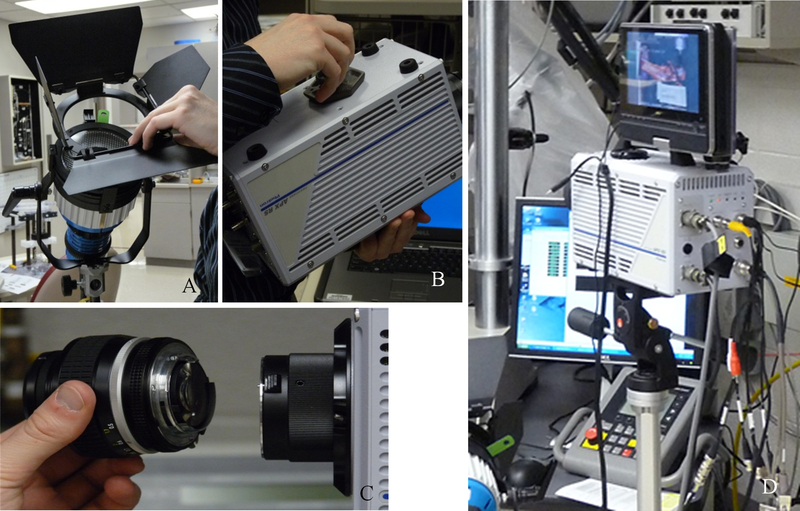 High speed video cameras were used to synchronously record the sequence of fracture events during testing. The reduction of this data allowed us to characterize the strength, stiffness, and fracture energy for nearly 200 osteoporotic, osteopenic, and normal cadaveric femora for further development of engineering-based diagnostic tools for osteoporosis research. Development of novel methods for femoral fracture risk assessment and fracture prevention for a fall on the hip require a comprehensive understanding of the biomechanical processes involved during fracture. Cadaveric proximal femur strength testing has proven to be effective in determining the relation between femoral strength and factors affecting the structural capacity of the femur providing important insights in this process1,2,3. Experimentally measured femoral strength is also used for validation of Quantitative Computed Tomography-based Finite Element Analysis (QCT/FEA) which enables a non-invasive estimate of fracture strength4,5,6,7. To date, there is no accepted standard procedure to test whole femoral specimens to fracture. To isolate clinically-measureable variables (such as bone mineral density and geometry) and their influence on femoral strength, it is imperative for experimental testing to be carried out in a controlled and repeatable manner. Cadaveric femora have irregular shapes and range in sizes8 and can be obtained from either male or female cadavers of different ages, making it impossible to test using built-in fixtures of standard testing machines. In a sideways fall on the hip event, the greater trochanter undergoes compressive loading, while the proximal femur may experience complex loading including compression, tension, bending moment, and torsion. Testing such loading scenarios adds complexity to the experimental design. Therefore, a fixture, as one important component of the testing protocol, must be specifically designed, fabricated, and installed to accommodate femoral samples of different shapes and sizes, and different testing speeds. This fixture must also hold the specimens for testing in a range of desired orientations to simulate possible impact loads from a fall on the hip. To meet such a variety of conditions, the fixture needs to have multiple stationary and moving components connected in a manner to minimize play in the system and to obtain a smooth load-displacement response. Reliable data acquisition is also critical during testing. The experimental design must incorporate the necessary load cells, displacement transducers, signal amplifiers and conditioners to accurately measure forces and moments at all supports. Additionally, high speed videos of both the anterior and posterior views of the femur obtained synchronously with the acquisition of forces are necessary to help understand the sequence of events leading to fracture, characterize fracture types, and precisely define femoral strength4,9. While there are valuable experimental studies in the literature on whole femur testing, published protocols either lack details on how the testing was performed or are very different from one study to another to truly make them reproducible10,11. 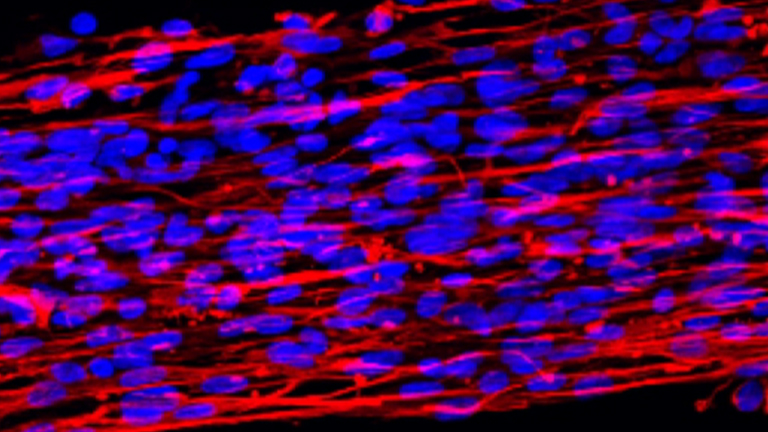 The goal of the current work was to introduce a protocol for mechanical testing of femoral samples that can be used as the starting point for an effort to standardize bone tissue testing which can be repeatable and reproducible. To this end, we designed and fabricated a testing fixture which was used to test about 200 cadaveric femora. The testing fixture included a bottom fixture and a crosshead fixture. The bottom fixture (Figure 1A-E) holds the femur at a desired orientation during testing and includes a trochanter load cell and a 6-channel load cell connected to the femoral shaft. It also accommodates three independent translations to allow for positioning of the bone for fracture testing. A rotation point is added to mimic the knee joint. The major parts of the bottom fixture were made up of thick pieces of stainless steel and aluminum to make a very stiff fixture. A load cell is attached to the bottom fixture to measure compressive forces on the greater trochanter during testing. The crosshead fixture (Figure 2A-2E) includes two aluminum base plates and two very stiff slide ball bearings (attached together by an aluminum plate), to account for the movement of the femoral head during testing and also to accommodate for right and left femora. A load cell included in the crosshead fixture measures compressive forces. An aluminum cup attached to the load cell is used to apply the compressive loads to the femoral head. Our method was used for left and right femora of both sexes, with various sizes, neck-shaft angles, bone mineral density, and loading conditions mimicking a sideways fall on the hip. The testing speeds in our experiments were set at 5, 100, and 700 mm/s, but they can be set to any value available on the testing machine. The designed fixture had two main components, one connected to the crosshead of the testing machine and the other connected to the testing frame. Both parts were instrumented with load cells sufficient to measure force and moment boundary conditions at all supports. Additionally, two high-speed video cameras were used to record the fracture events during testing. After fracture, a set of X-rays and Computed Tomography (CT) scans were obtained for post experimental fracture analyses. Results obtained from these experiments including fracture strength and energy are currently used for additional research in diagnostic tools to eventually improve the assessment of proximal fracture strength in osteoporotic patients. Remove standard fixtures from the machine. Move crosshead apart to accommodate the in-house fixture. Place the aluminum block (part No. 1 in Figure 1A) on the machine and securely fasten on the machine using two bolts; the hole in the center accommodates the machine load cell. Place the main fixture structure (part No. 2 in Figure 1B) on the aluminum block and securely attach it to the block using 4 bolts. Place a four-ton jack under the part of fixture that does not rest on the aluminum block to support the fixture (Figure 1C). Mount the 6-channel load cell fixture (part No. 3 in Figure 1D) on the main fixture and secure it using 6 screws. Set the machine crosshead to absolute zero using crosshead lift control. Attach first baseplate (part No. 4 in Figure 2B) to the crosshead using 7 screws with its curved edges facing the front of the testing machine. Attach second baseplate (part No. 5 in Figure 2C) using one pivoting screw. The screw accommodates left and right bones during testing. The second baseplate (part No. 5) is free to swivel about the pivot screw relative to first baseplate (part No. 4). Orientation of the second baseplate determines if the setup is for right or left femur. Attach the assembly of the two slide bearings (part No. 6 in Figure 2D) to the second baseplate (part No. 5) using 4 screws (two screws can be accessed from one side of the first baseplate). Rotate the second baseplate in such a way that the second set of screws can be accessed from the top of the first baseplates. NOTE: To change the orientation of the slides from left bone to right bone, the 4 screws on top of the first baseplate are unfastened, and then slides are rotated about the pivot screw and fastened again at the required orientation. Manually rotate the slides which are orthogonal to 6-channel load cell by setting the machine crosshead to relative position of 65°. Set up the instrumented bottom fixture on a standard servo hydraulic testing machine. This fixture will hold the femur and accommodate both left and right femora in fall on the hip configuration (Figure 1). Set up high-speed camera and lighting equipment (Figure 3A-3D). Position high intensity lights on tripods with one on each side of the machine and secure them (Figure 3A). Set up tripods for high-speed cameras on either side of the testing machine and connect each camera to data acquisition units (Figure 3B-3C). With the cameras on and connected to the acquisition unit, configure camera settings; set frame rate to 6000 frames per second (fps) and resolution to 1,024 x 512 pixels; resolution can be reduced to accommodate camera internal memory (Figure 3D). Set shutter to 1 frame/sec (1/6,000 fps). Also set the camera option such that the recordings begin before the actuator moves (100 ms for fast tests and 200 ms for slow tests). Connect the synchronizing cable between the two cameras; select trigger mode in the software setting of the cameras. 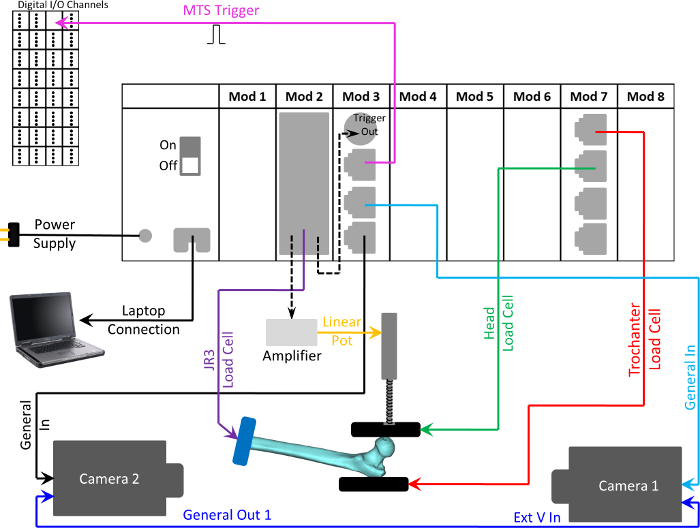 Connect the DAQ to the testing machine, high-speed video camera, load cells, and linear potentiometer as shown in wiring schematic in Figure 4. Check the proper connection of trochanteric load cell, head load cell, linear potentiometer, 6-channel load cell, and trigger signal to the DAQ device by observing data signal traces in the view panel of the DAQ software by manually pushing on the load cell. Verify that the DAQ, Signal Conditioner, and Pulse Generator are all powered ON. Configure the DAQ software for all signals from the load cells and the linear potentiometer. In the DAQ software, select the "Step setup >> Configuration" tab and set up the acquisition rate (Hz) for each signal input associated with each load cell. On the "Triggering" tab, select the appropriate triggering option. Video equipment should also be triggered during trial runs to ensure video/DAQ system synchronicity. Apply a nominal load (for example a minimum of 200 lbs to a maximum of 1600 lbs) to the femoral head and trochanter load cells using the standard servo hydraulic machine to verify reasonable load cell measurements and compare to manufacturer calibration data sheets (Figure 5A). Similarly, apply static loads to the 6-channel load cell by using a dead weight as shown in Figure 5B. Check the functionality and verify the performance of the 6-channel load cell (Figure 5A-5B) by calculating percent differences between measured and theoretical force and moment values. The error should be less than 5%. NOTE: All load cells must have been calibrated by their manufacturer in advance. This step only checks that the load cells are functioning, all connections are made and the signals are reasonable. Secure the linear potentiometer fixture to the crosshead and place the linear potentiometer in the fixture (Figure 5C). Tighten screws to lock the potentiometer body and plug the connector into the DAQ unit. Manually move the actuator (25 mm) on the load frame so that the potentiometer position translates from maximum compression to maximum extension and record displacements and the corresponding voltage (for at least three data points). Plot displacement vs. voltage and fit a linear function to the data (R2 >0.95). Input the slope of the linear equation (mm/V) as the calibration factor into the "Scaling parameter" box of the DAQ software. Verify the overall testing machine setup by testing a surrogate fiberglass bone to fracture to make sure all data acquisition is functional and reasonable. This includes trochanter load cell, femoral head load cell, linear potentiometer, the six-channel load cell, and the trigger signal (Figure 6). Thaw bones at room temperature for 24 h and remove moisture, excess fat, and any remaining soft tissue using paper towels. Place bone in the acrylic scanning fixture, and prepare dental cement. Measure 60 g of PMMA powder and mix with 30 g of liquid resin under fume hood until the powder has dissolved. The mixture should be pourable. Use a disposable paper cup for this process. This step is for potting the greater trochanter in an aluminum cup (Figure 7A). Align the aluminum cup below the trochanter. Then, pour PMMA cement to half the height of the cup, and raise the fixture platform to fit the bone into the cup. Allow 10-15 min for polymerization. Wrap bones in saline soaked towels to avoid tissue dryness during bone cement polymerization. Center and lower the crosshead for contact with the femoral head. Review setup, bone position, load cell signals, and cup position. Also review DAQ device; ensure that all the equipment and load cells are connected properly, and verify that all are powered on. Check software setup for proper signal response from each load cell. Take pictures of the femur placed in the fixture from 2 sides. Set the aperture to allow enough light onto the camera sensor and control the depth of field. Check image quality by focusing on the femoral neck. This process should prevent any glare and glossy bone regions in the image that would affect capturing the fracture event. Verify the servo mechanical load frame is programmed for appropriate displacement control of 25 mm for the fracture test in the servo mechanical load frame for both loading and unloading. NOTE: These are manufacturer specific settings and should be input and verified in the control panel of the testing equipment according to manufacturer specifications. 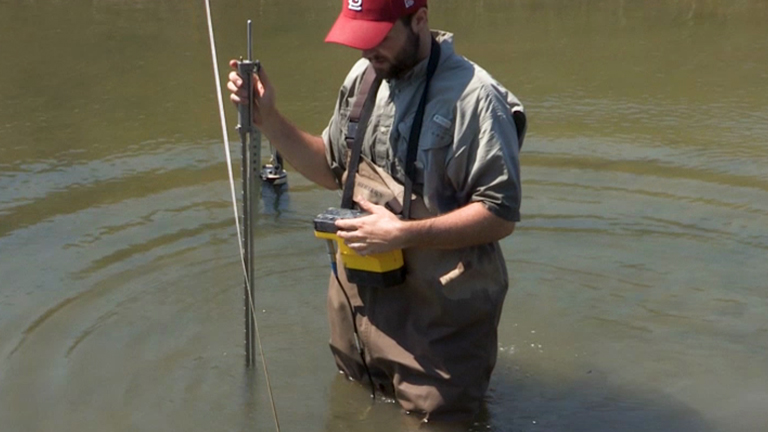 Verify lighting to minimize reflections in the video cameras, and the data acquisition system one final time. Click on the start icon from the control panel to initiate test sequence to fracture test femur (Figure 7C). Take pictures of the fractured femur from 2 sides. Manually retract actuator and remove femur from machine. Tape proximal broken end of bone to shaft, wrap in wet towels and plastic bags (Figure 7D), and then freeze at -20 °C. Preserve the bones for further post-fracture X-ray and CT imaging. NOTE: Details for these processes have been previously explained in another protocol from our group (under review at JoVE) (Figure 7E). In-house fixtures are mounted after the standard fixtures are removed from the testing machine. First, the bottom heavy fixture is mounted and secured (Figure 1). This includes an extended arm to hold the 6-channel load cell which also enables the femoral shaft to be aligned at a desired adduction angle. Next, the crosshead fixture including two frictionless slide bearings is mounted to accommodate the application of load and femoral head movement during fracture (Figure 2). The upper fixture is adjustable for testing both left and right legs. Once all fixtures are mounted, high speed video cameras and lighting fixtures are installed. The images in the camera are tested for focus, contrast, and depth of field (Figure 3). All instruments are then connected to a DAQ unit (Figure 4) and single-axis, six-axis load cells, and the linear potentiometer are checked for functionality and calibrated, respectively (Figure 5). All instruments are then tested to ensure for proper signals from the different load cells (Figure 6). The greater trochanter is next placed into an acrylic fixture for potting. The femur is then loaded into the testing fixture and fractured. After fracture the femur is removed from the fixture. Broken parts are taped together and the whole samples are wrapped in plastic bags. The samples are then imaged with X-ray and scanned with CT for further fracture type classification (Figure 7). Measured results include 3 forces and 3 moments at the femoral shaft which are measured with the 6-channel load cell, and the reaction force at the femoral head. However, the main results to be used for further QCT/FEA validation are the force recorded at the greater trochanter and the displacement recorded at the femoral head (Figure 8). Figure 1: Bottom Fixture Installation. (A) Placing the aluminum block (part No. 1) on machine table, (B) Placing the main bottom fixture structure (part No. 2) and securing it to the aluminum block, (C) Main structure is installed and secured in place, (D) Mounting the 6-channel load cell fixture (part No. 3) on the main bottom structure (part No. 2), (E) Adjusting femoral shaft angle after installation of the whole bottom fixture. Please click here to view a larger version of this figure. Figure 2: Crosshead Fixture Installation. (A) Remove fixtures from machine actuator, (B) First baseplate (part No. 4) is installed first, (C) Attaching the second baseplate (part No. 5), (D) Attaching the assembly of the two slide bearings (part No. 6) to the second baseplate, (E) Completed installation of the upper fixture; (F) Whole testing fixture installed on the machine. Please click here to view a larger version of this figure. Figure 3: Lighting and Cameras Installation. (A) Setting up lamps and shields; (B) Attaching the high-speed camera to the tripod; (C) Installing the lens to the camera unit; (D) Connecting the camera to the computers. Please click here to view a larger version of this figure. Figure 4: Schematic Diagram. DAQ unit with all the input/output devices connected to DAQ. Please click here to view a larger version of this figure. Figure 5: Calibration and Verification Process. 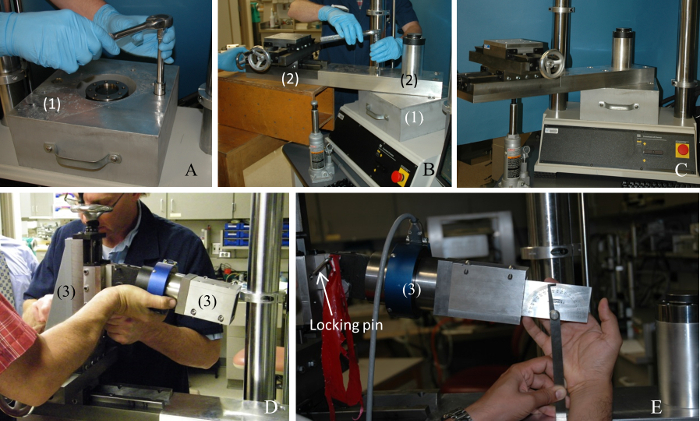 Checking the functionality of (A) Single axis load cells for femoral head and greater trochanter force measurements, and (B) Six-channel load cell for femoral shaft forces and moments measurements; (C) Calibration of the linear potentiometer for measuring femoral head displacement. Please click here to view a larger version of this figure. 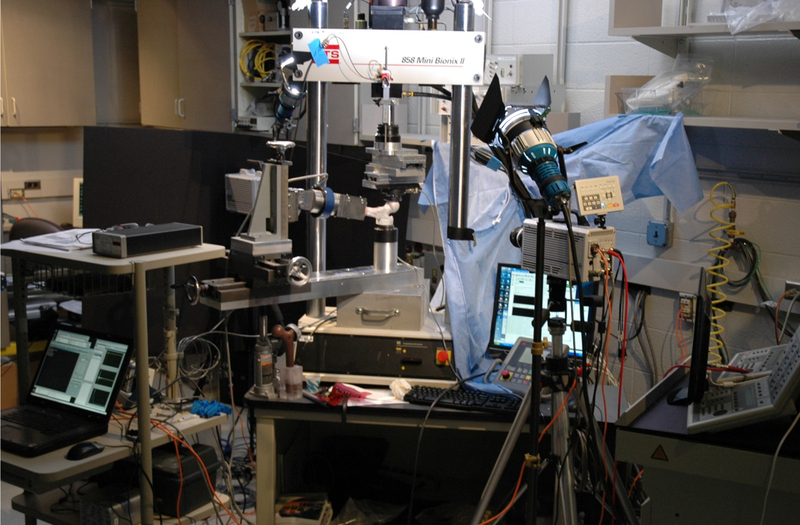 Figure 6: Mechanical Testing Set-up. All the instruments are connected and synchronized to communicate with the machine, and video cameras. Please click here to view a larger version of this figure. Figure 7: Femur Before and After Fracture Testing. (A) Potting the greater trochanter in the aluminum cup filled with PMMA; (B) Bone placed in the testing fixture with the greater trochanter resting on the lower load cell while the crosshead fixture is in touch with the femoral head; (C) Fractured bone right after mechanical testing; (D) Removing fractured femur from the machine and taping the broken parts together; wrapping femur in plastic bags; (E) X-ray and CT scanning after fracture. Please click here to view a larger version of this figure. Figure 8: Force-displacement Curve. 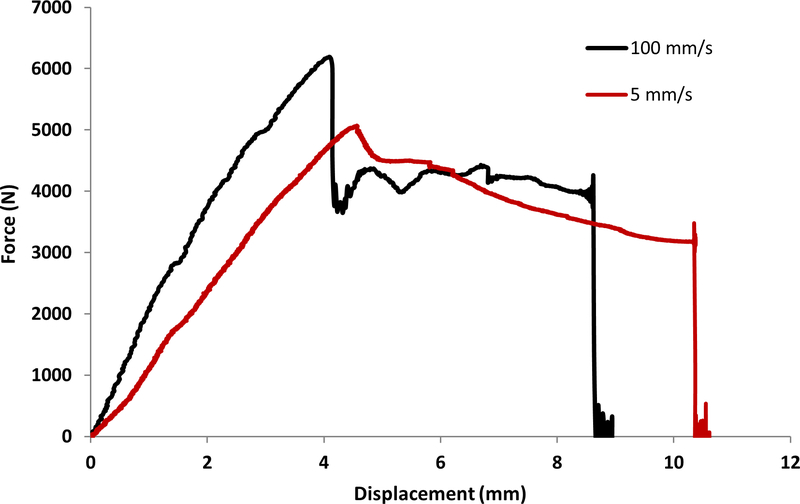 Force-displacement curves for femora tested to fracture at 5 and 100 mm/s. The force is recorded at the greater trochanter and the displacement is recorded at the femoral head. Please click here to view a larger version of this figure. We proposed a protocol to fracture test proximal cadaveric femora in a fall on the hip configuration with which we have successfully tested about 200 samples. The protocol includes several in-house designed fixtures for femoral strength testing under different loading conditions. The fixture allows for testing of both right and left femora at different testing speeds and bone orientations. After mounting the fixture and the measuring instruments, a fiberglass femur is tested to fracture to assure that all the hardware and software tools are properly connected, working synchronously, and the signals and videos are properly recorded. Just prior to actual cadaveric femur fracture test, the femoral shaft potted in PMMA is clamped in the fixture. The mechanical testing protocol permits for femoral fracture testing in a repeatable and consistent manner. During testing, the femoral shaft experiences bending and torsional deformation while the femoral head and greater trochanter are compressed. To avoid lateral loading of the specimen, the crosshead fixture is designed with two cross bearings allowing movement in the horizontal plane with minimal friction. This assures the application of a vertical load to the femoral head regardless of bone deformation and spatial motion of the head during testing. Additionally, this upper fixture is designed to accommodate left and right femora by simply rotating a plate component as shown in Figure 2C. The bottom fixture, connected to the bottom of the testing machine, is designed to hold the cadaveric femora at desired adduction angles during testing. This fixture also includes a single axis load cell measuring compressive loads at the trochanter and a six-channel load cell attached to the distal end of the femoral shaft to measure the three forces and three moments in the shaft. In addition, the fixture accommodates the rotation of the femur about a virtual point simulating the knee joint. Bone tissue, similar to other biological tissues, has strain-rate dependent mechanical properties, and consequently femoral strength and fracture properties will change with testing speed12. Therefore, the protocol and the testing fixture should be able to be used for mechanical femoral testing at various speeds and accommodate for a range of data acquisition equipment, sample frequencies, high-speed camera types, and lighting conditions. With the current protocol, we have successfully tested femora at various speeds differed by two orders of magnitude (5, 100, and 700 mm/s) to mimic the speed of various traumatic events. High speed video cameras allowed recording the fracture sequence of events for further analysis. In order to obtain useful data, all testing components were synchronized during testing to properly visualize the mechanics of fracture. Through synchronization load cell, displacement data, and crack initiation and propagation data can be analyzed together to help form a comprehensive picture of fracture. In order to avoid crushing of the greater trochanter due to non-uniform contact and undesirable contact stress concentration, the trochanter is potted in a PMMA-filled cup. Additionally, the bottom of the cup is round to allow it to roll on the lower fixture surface. This leads to a vertical reaction force while preventing lateral constraint from the support that might affect the fracture strength or type. This design choice was necessary to obtain accurate femoral strength, and fracture modes similar to the ones observed clinically. In other experimental studies, only the most proximal part of femora were tested by cutting of a major part of the femoral shaft from samples, leading to very short specimens13. In contrast, the current protocol tests 255 mm long proximal femoral specimens. The fixture is designed with a steel arm extending the length of the sample to include a rotation point near the removed knee joint to more realistically mimic a sideways fall on the hip. This extension arm incorporates a 6-component load cell which is used to measure the three forces and three moments developed in the femoral shaft during fracture testing. These considerations are similar to those described in previous studies, and help us to more accurately, understand the forces contributing to fracture and to estimate the femoral stiffness and strength14. The 3 load cells used in our fixture led to redundancy in the acquired data which allowed us to analyze the balance of forces and moments in the main vertical direction. At the time of peak trochanter force, we observed very similar magnitudes measured by the different load cells, with average relative errors of about 2%, which is a very satisfactory experimental error for this category of biomechanical tests. This protocol has several potential limitations. A main limitation could be that the compliance of the fixture and the testing machine can affect the measured displacement and stiffness15. This becomes more relevant for normal femora that require a greater load to fracture. However, we have designed our fixture with thick steel and aluminum plates to maintain a stiffness at least one order of magnitude greater than the femoral stiffness. Using a sample of about 200 femora, we noticed an average error of about 5% in the measured femoral stiffness due to fixture compliance. A correction factor was then calculated for each femur to correct the stiffness values. An additional potential limitation that can lead to errors is that the sequence of testing steps must be strictly followed. For example, for the first specimen tested, the pin keeping the femur positioned before making contact with the head and trochanter fixture surfaces was not removed and the fracture testing was completed without a rotation point at the distal end (fixed end). A modification of the protocol required a red long ribbon attached to the pin (Figure 1E) and a second operator to confirm that the pin was removed before testing. Also, while testing speeds were varied significantly from 5 - 700 mm/s, our tests were nevertheless quasi-static experiments. In order to gain insight into the dynamic behavior of proximal femur fracture under higher velocity loading such as resulting from impacts, a drop-tower test could be employed16. While testing was performed at different times and by different operators, all femora were fractured using the same protocol, fixtures, and load cells thus removing uncertainties related to repeatability of the experiment. With similar approach, the current protocol can be adopted and fixtures redesigned to test in stance configuration or to fracture other bone types. We would like to thank the Materials and Structural Testing Core Facility and Division of Engineering at Mayo Clinic for technical support. In addition we would like to thank Lawrence J. Berglund, James Bronk, Brant Newman, Jorn op den Buijs, Ph.D., for their help during the study. This study was financially supported by the Grainger Innovation Fund from the Grainger Foundation. X-ray scanner General Electric 46-270615P1 X-ray imaging equipment. Bouxsein, M. L., Szulc, P., Munoz, F., Thrall, E., Sornay-Rendu, E., Delmas, P. D. Contribution of trochanteric soft tissues to fall force estimates, the factor of risk, and prediction of hip fracture risk. J Bone Miner Res. 22, 825-831 (2007). Rezaei, A., Dragomir-Daescu, D. Femoral Strength Changes Faster With Age Than BMD in Both Women and Men: A Biomechanical Study. J Bone Miner Res. 30, 2200-2206 (2015). Zani, L., Erani, P., Grassi, L., Taddei, F., Cristofolini, L. Strain distribution in the proximal Human femur during in vitro simulated sideways fall. J Biomech. 48, 2130-2143 (2015). Dragomir-Daescu, D., et al. Robust QCT/FEA models of proximal femur stiffness and fracture load during a sideways fall on the hip. Ann Biomed Eng. 39, 742-755 (2011). Schileo, E., Balistreri, L., Grassi, L., Cristofolini, L., Taddei, F. To what extent can linear finite element models of human femora predict failure under stance and fall loading configurations? J Biomech. 47, 3531-3538 (2014). Koivumaki, J. E., et al. Ct-based finite element models can be used to estimate experimentally measured failure loads in the proximal femur. Bone. 50, 824-829 (2012). Pottecher, P., et al. Prediction of Hip Failure Load: In Vitro Study of 80 Femurs Using Three Imaging Methods and Finite Element Models—The European Fracture Study (EFFECT). Radiology. 142796 (2016). Rivadeneira, F., et al. Femoral neck BMD is a strong predictor of hip fracture susceptibility in elderly men and women because it detects cortical bone instability: the Rotterdam Study. J Bone Miner Res. 22, 1781-1790 (2007). de Bakker, P. M., Manske, S. L., Ebacher, V., Oxland, T. R., Cripton, P. A., Guy, P. During sideways falls proximal femur fractures initiate in the superolateral cortex: evidence from high-speed video of simulated fractures. J Biomech. 42, 1917-1925 (2009). Courtney, A. C., Wachtel, E. F., Myers, E. R., Hayes, W. C. Age-related reductions in the strength of the femur tested in a fall-loading configuration. J Bone Joint Surg Am. 77, 387-395 (1995). Cheng, X. G., et al. Assessment of the strength of proximal femur in vitro: relationship to femoral bone mineral density and femoral. Bone. 20, 213-218 (1997). Courtney, A. C., Wachtel, E. F., Myers, E. R., Hayes, W. C. Effects of loading rate on strength of the proximal femur. Calcif Tissue Int. 55, 53-58 (1994). Keyak, J., Rossi, S., Jones, K., Les, C., Skinner, H. Prediction of fracture location in the proximal femur using finite element models. Medical engineering & physics. 23, 657-664 (2001). Nishiyama, K. K., Gilchrist, S., Guy, P., Cripton, P., Boyd, S. K. Proximal femur bone strength estimated by a computationally fast finite element analysis in a sideways fall configuration. J Biomech. 46, 1231-1236 (2013). Langton, C. M., Njeh, C. F. The physical measurement of bone. CRC Press. (2016). Ariza, O., et al. Comparison of explicit finite element and mechanical simulation of the proximal femur during dynamic drop-tower testing. J Biomech. 48, 224-232 (2015).